Had Pete, Patrick and Mikey over Friday night. 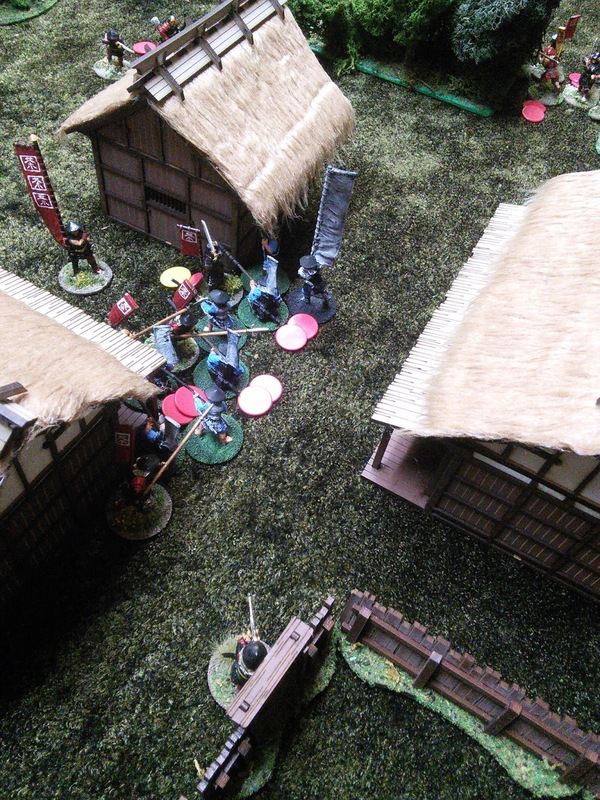 Thought we'd give Ronin another go with smaller forces. Pete and I paired up with the Lord of Tea's red and black force. 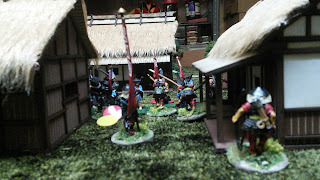 Mikey brought some partially finished blue ashigaru and Patrick used my small yellow and red buntai. Things went a little better except Pete and I both found our samurai to be armed with pool noodles and we were giving too much armour to the defender when shooting the teppo. Teppo man bottom of picture spent the whole game trying to line up a shot on Mike! So still on the learning curve. 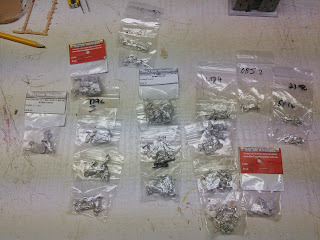 I'm thinking any more than half a dozen figures on a side is too many though. My 4Ground fences are also unbalanced and kept falling over, so I'll need to rebase them to improve stability. On the plus side Mikey did sell me a pack of Perry ikko-ikki with teppo for a good price. Every year around this time I find a book on Canadian military history to read and help me reflect. This year I got Christie Blatchford's Fifteen Days. It did not disappoint. Blatchford spent a few months embedded in ROTO 1 and 2 in 2006. Each chapter is a different day that she found significant, usually a death. But she goes forward and backward, from Canada to Afghanistan to set each soldier's death in context. The reader gets to know them, their platoon mates and their families all much better than a dry recitation of the event would allow. During the course of this narrative she paints a better picture of the mission in Kandahar and what our soldiers were succeeding at, something that the press was always slow to report at the time. Many chapters were very moving but she saved the best for last as she describes the veterans of Task Force Orion being sent across the country in the fall of 2006 to Remembrance Day ceremonies in all the communities their fallen are buried in, allowing them to grieve some more and meet with the families to help both heal. Every wargame project I start, I always try to read some social background too in order to give some life to my metal figures. This book didn't disappoint in that regard, as well as filling in some other details, like TF Orion's fighting in Helmand province and the use of Bisons as ambulances (no red cross, it would attract RPG fire). Her writing is very good and you can feel her emotional connection in every line. Highly recommended. Every village needs a well or two. In Afghanistan they are also good places to hide weapons caches. Patrick gave me this children's building toy. 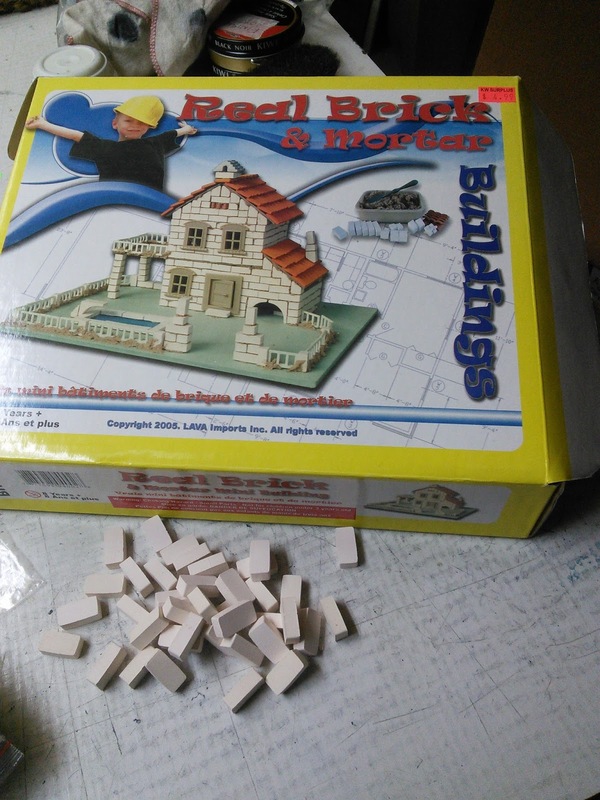 He got them cheap at a discount store and had used a set to build a tower house for his Scottish boarder game. The bricks are enormous for 20mm figures, so I used a needle file to inscribe more stone lines into the faces. Although when it came to painting I hadn't gone deep enough and had to be careful not to paint the cracks out. 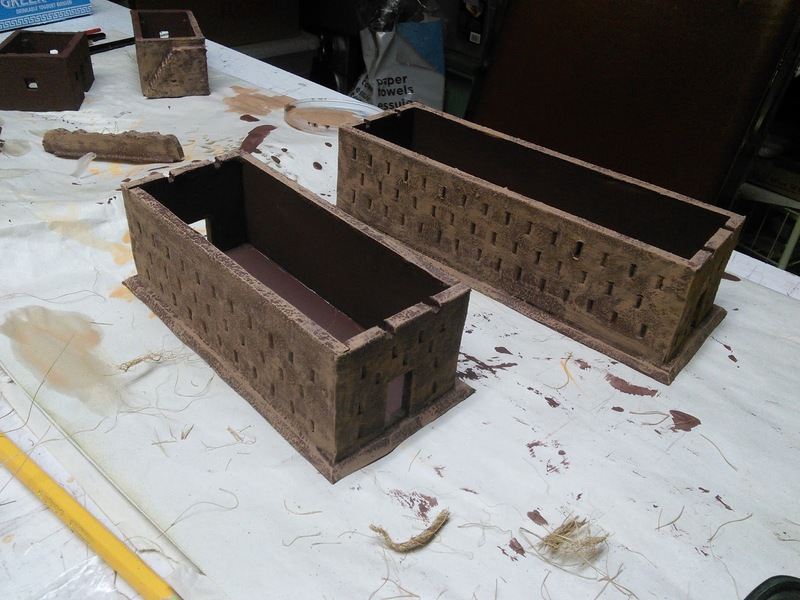 So four bricks for each well, inscribed with a rough brick pattern, glued to a base and painted. 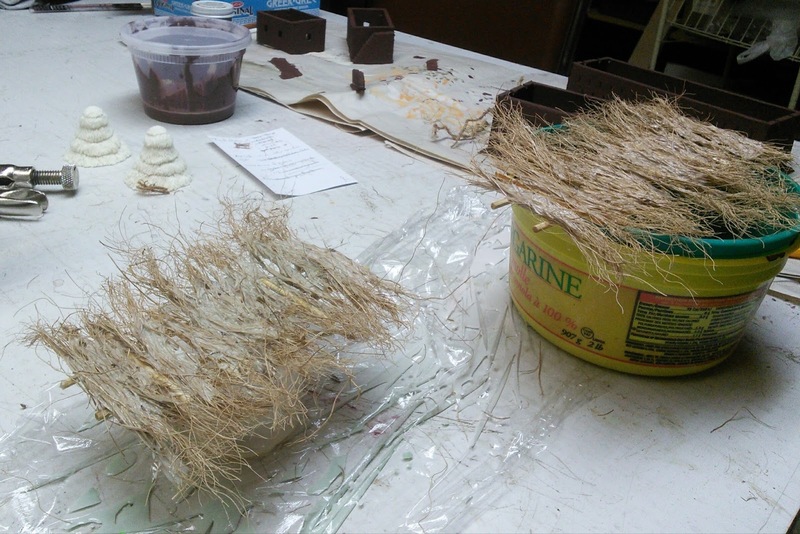 I then used some dry static grass to soften the bottom edge. I also got the IEDs painted up today too. After my inaugural game I realised that I needed some way to indicate possible IED threats. 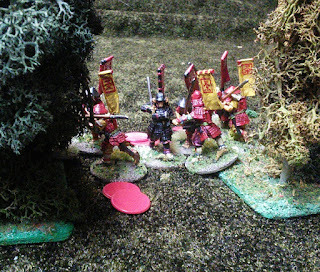 Both S&S Models and Elheim Figures make ready cast IED markers, but my cheapness came to the fore. Plus you need a lot of the buggers! I started by covering the holes in 20mm washers with masking tape. 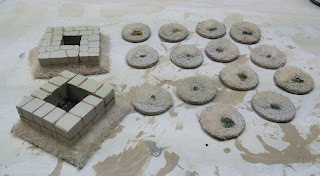 Into the holes I then added bits of wire, squares cut from resin stowage sprues, a box and a few rounded sprue ends, thinking that they might look mine like. 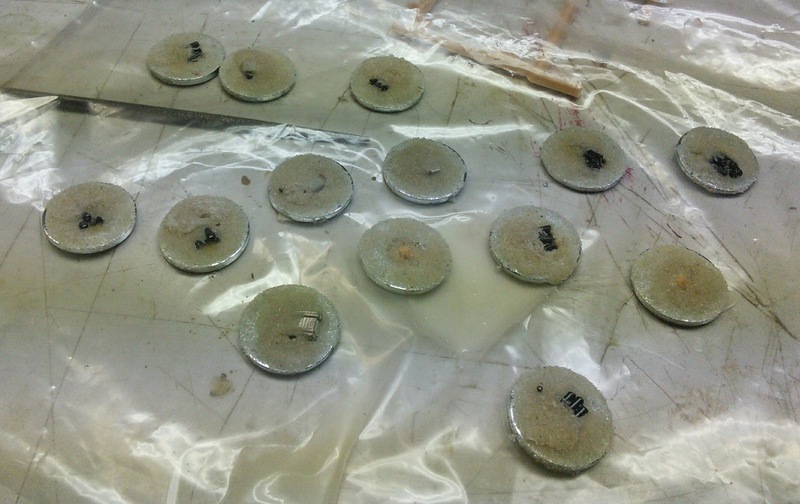 With more glue and fine sand I then partially buried the suspicious objects. Then it's just a matter of paint and an ID number. I've knocked these up this weekend. I'd do more but I ran out of washers. Work has bashed on with the grape huts! 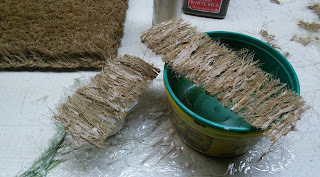 For the thatching on the roofs I took apart the coir fibre rope binding the edge of a mat I got to turn into grain fields. The bunches of fiber were then plunged into very thinned out white glue and stuck to the rafters. After the first layer dried I added some more to fill in large gaps and cover the beams better. The edges were trimmed and then the sections were given a wash with very dilute burnt umber. Meanwhile I was painting the buildings. Textured sparkle paint, dark brown latex, then dry brush with some tan acrylic. After that it was a light spray with some ivory aerosol paint. I then trimmed the roof sections some more to remove stray hairs and thin them out on the bottom edge were thatching was lifting the sections up from the walls. I also added some tools near doors to provide a feel of being used. I've also been working on grape mounds too. 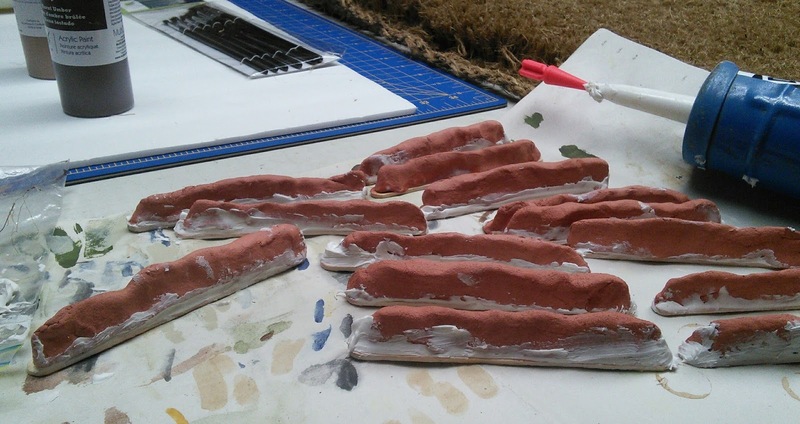 I had a kilo brick of DAS modelling clay on the shelf for about ten years and felt that it would give a more organic feel then sections of foam core. A night spent with the classic 80s playlist on YouTube had me cutting slices and sticking them on popsicle sticks for strength. A week or two later I came back to them, realising that once dried the clay would need to be glued back to the sticks. But my grape mounds had all warped! Cheapo indoor caulking was deployed to fill the gaps and give adhesion. I was hoping to use the natural clay colour as a base and dry brush over it, but now the caulk will need covering. Once painted the plan is to superglue clump foliage on for the grape plants, but it will take a bit longer to get there. As a post script, in today's mail a nice package from Elheim Figures arrived! 9 local force Taliban, some more RPG and LMG types plus casualties for both sides. For some scenario variation I also have a downed pilot and a JTF2/SEAL special ops team of 13 figures. Elheim also sells Wartime 20mm figures, so I got some of their insurgents for pose variation, plus an Afghan trader with wares to dress up the village. I also got the Wartime EOD team with mine detector and dog for my combat engineer detachment.